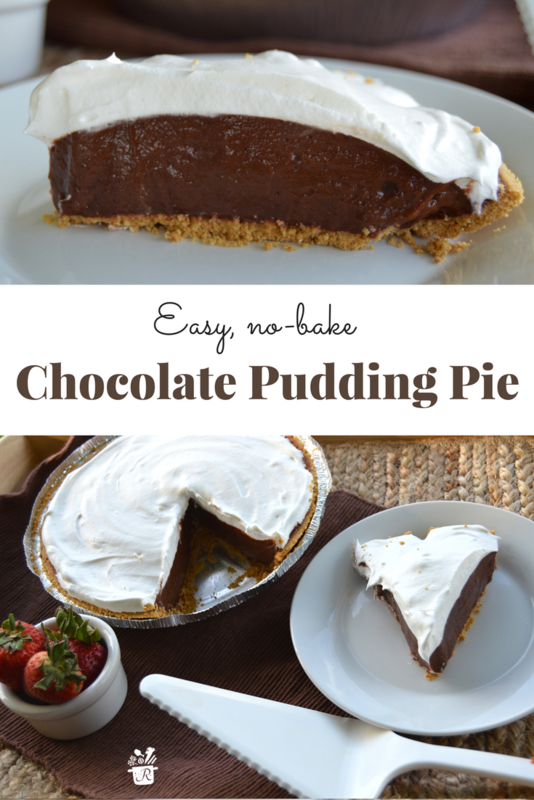 Chocolate Pudding Pie is as easy is it is delicious! You know that feeling of panic when you realize (after a loooong week) that you are invited to a get-together Saturday and you didn’t plan a dish to bring? Don’t fret! We’ve got you covered! This happens to me all the time so I have a go-to easy dessert that bails me out every time I forget about that dinner party or cookout. It is so easy to prepare that you can literally throw it together 10 minutes before you leave. Pour filling into graham pie crust. It may seem thin but will firm up quickly. When you get to the party, make sure to tell the host your chocolate pudding pie needs to be refrigerated. By the time everyone is ready for dessert, your pie will be set and ready to serve! If you have more time, you can also use cook and serve pudding in place of instant. It will take a little longer to cook and to set. If you prefer a homemade crust, the graham pie shell can be made by finely smashing one package of graham crackers, adding 2 T melted butter, mixing well, and pressing into the bottom of a pie dish. Let sit 5-10 minutes before adding pudding. Toppings: If you are feeling fancy and have more than 10 minutes, you can add bananas, strawberries, or chocolate morsels on top. I have even drizzled some chocolate syrup over the whipped topping beause you can never have too much chocolate! After you find one of your Easiest Family Weeknight Meals, throw this dessert together and set it in the fridge for a family dinner (and dessert) with no hassle! 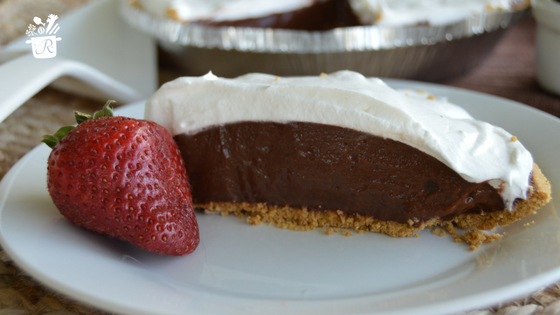 So next trip to the grocery store, make sure you grab the ingredients for your new go-to Chocolate Pudding Pie dessert!